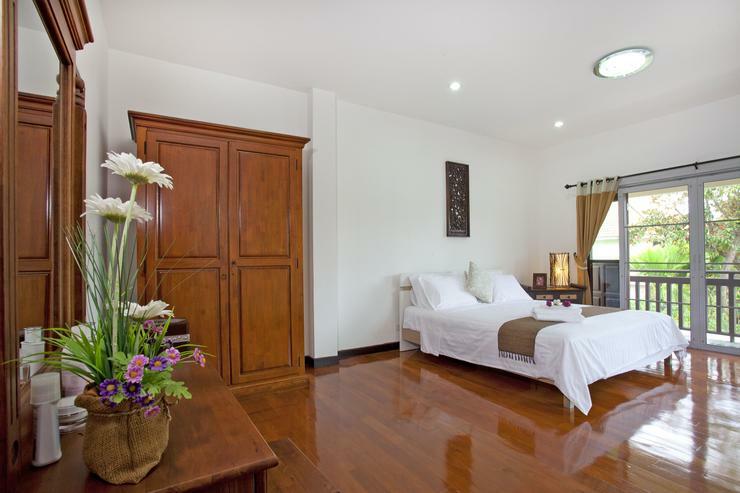 The villa is located approximately a 10-minute drive outside Chiang Mai city center, and just 2-minutes from bars, restaurants, supermarkets and local food markets. 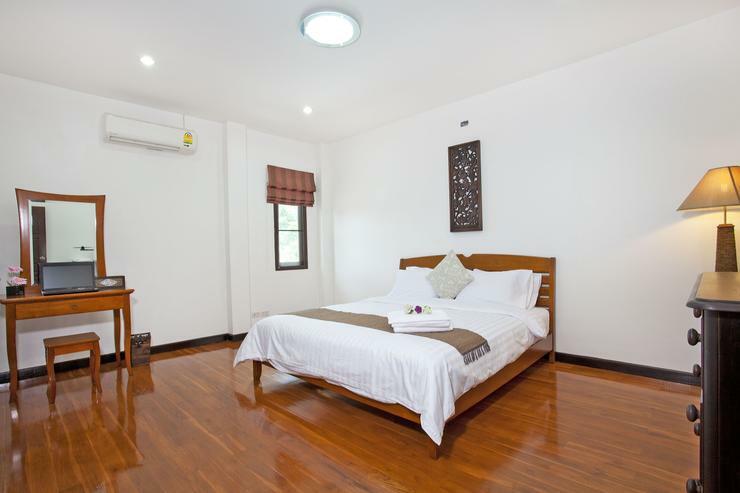 The region is famous for its activities and countryside, which can all be reached within a 15 - 30 minute drive such as Doi Suthep, golf courses, Chiang Mai Zoo, extreme sports, hill tribe villagers and much more. 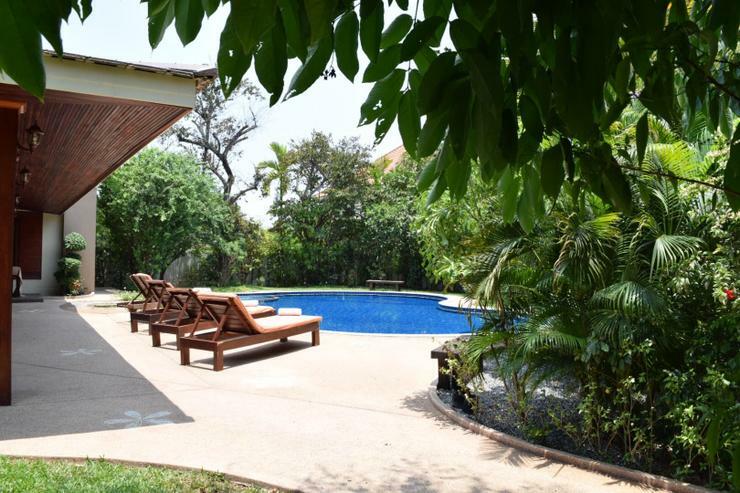 Lanna Karuehaad Villa is 6 + 2 bedrooms of modern tropical beauty, set behind a tall perimeter wall and surrounded by stunning landscaped gardens and a 120sqm private freeform swimming pool. 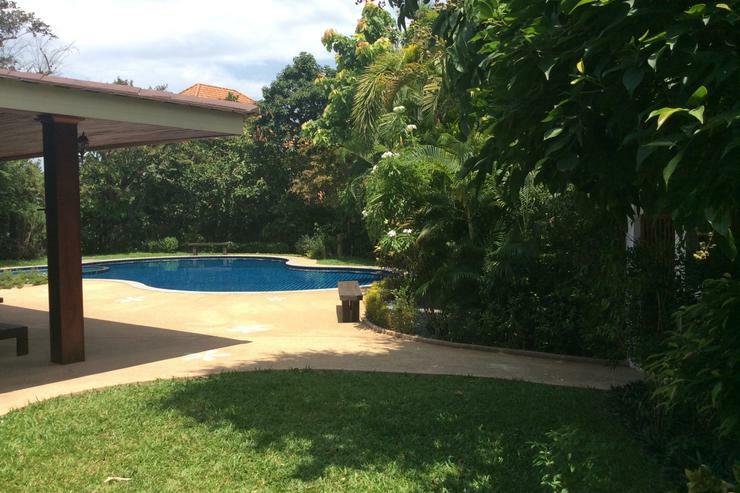 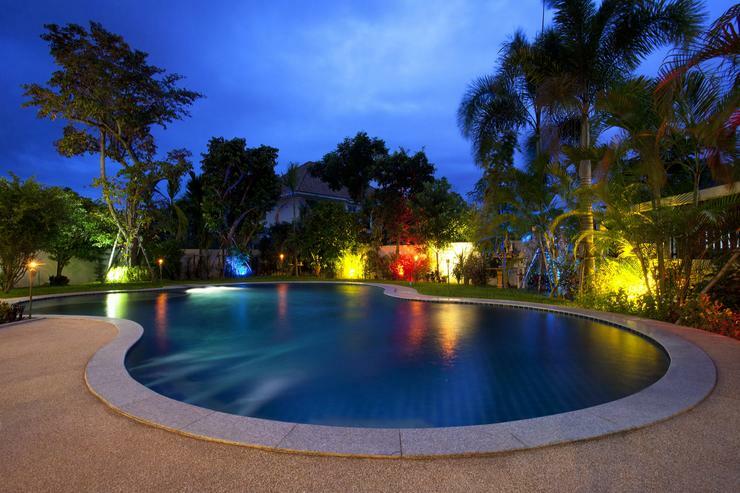 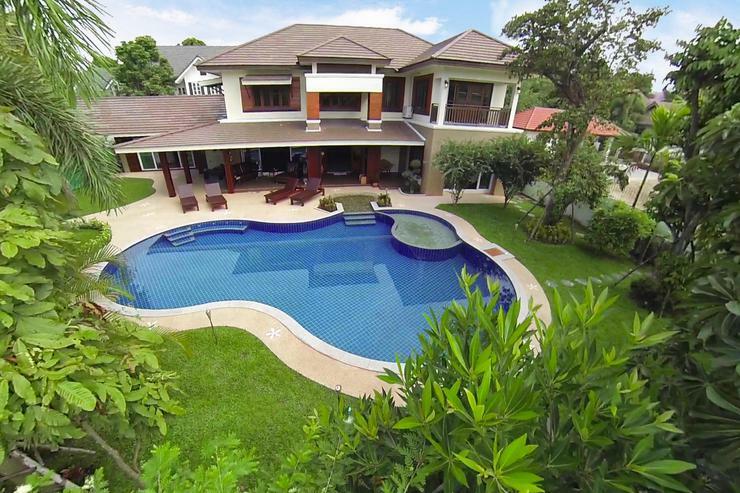 Situated on one of the oldest and most prestigious developments in Chiang Mai, this estate has more space than the newer developments in the area. 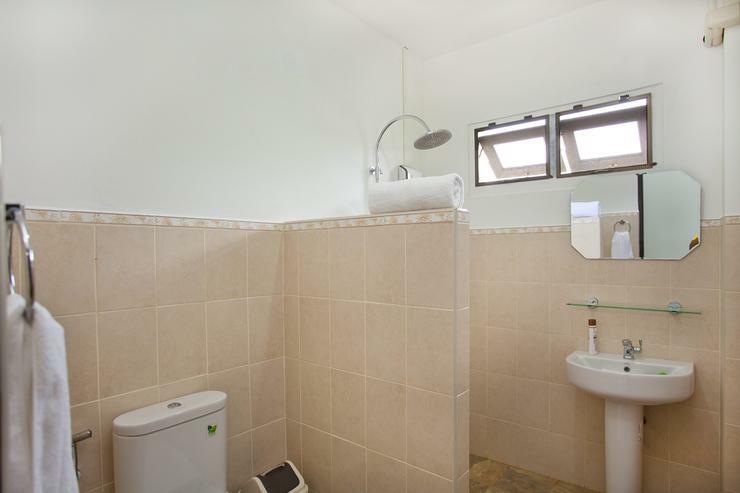 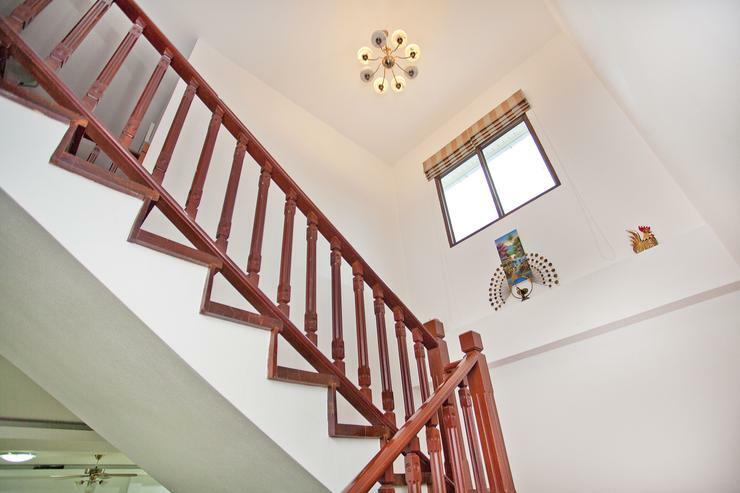 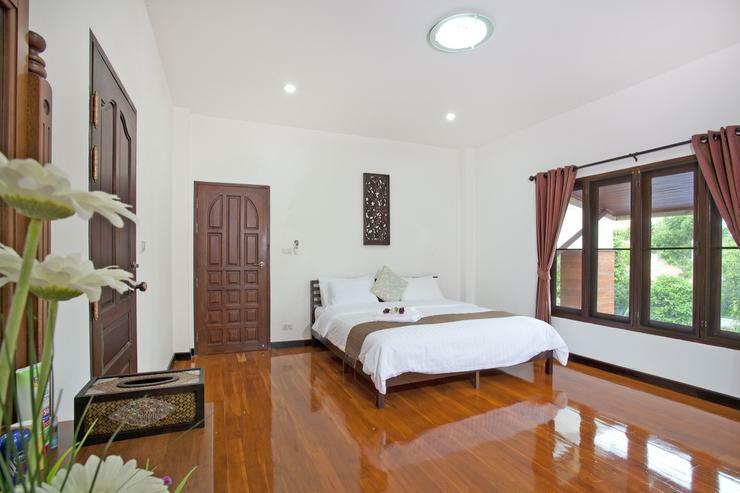 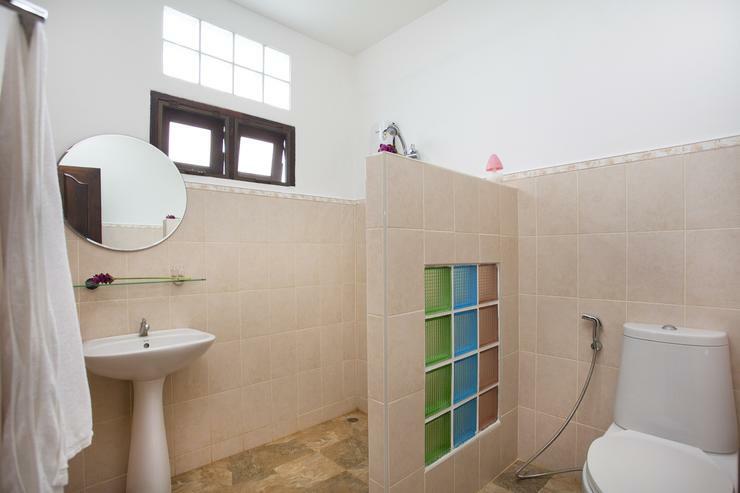 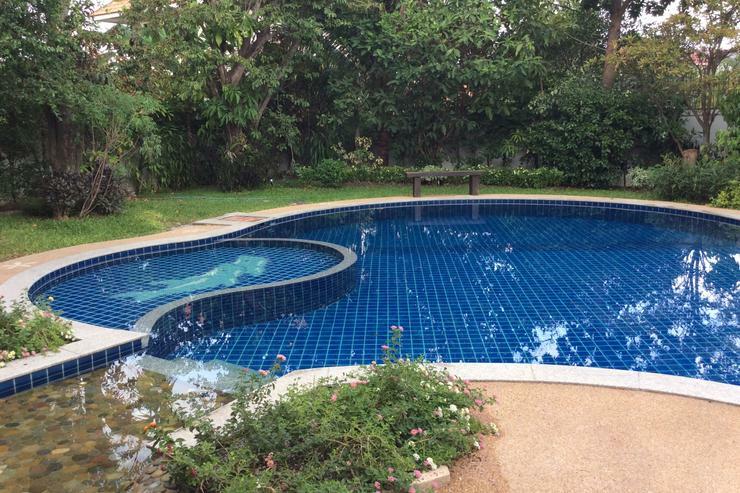 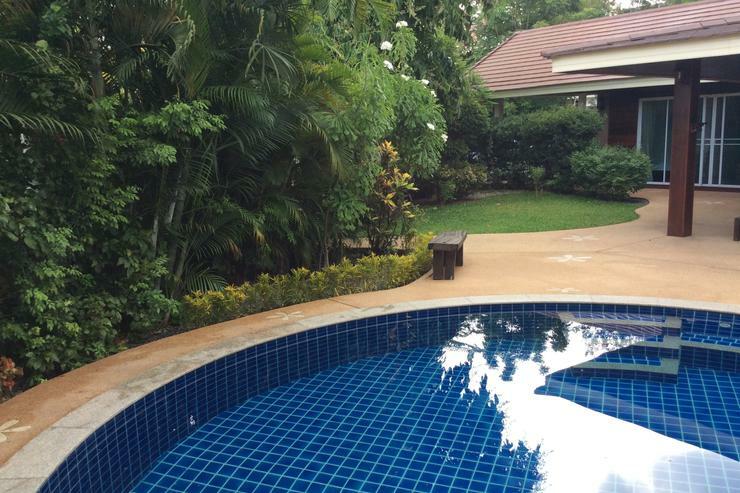 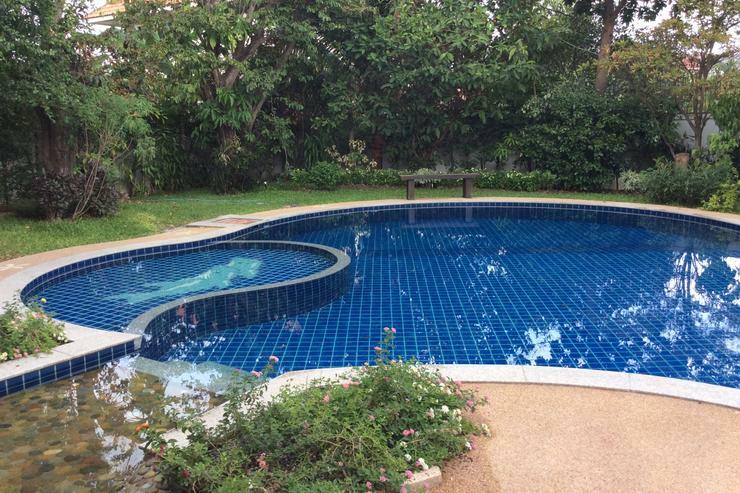 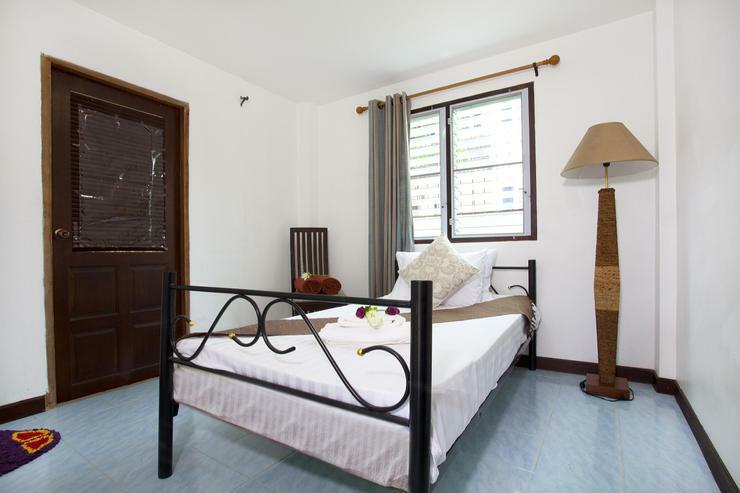 The villa is listed as 6 + 2 bedrooms because the main rates only cover 6 bedrooms, with the 2 other bedrooms available at 2,000 baht per day, per bed. 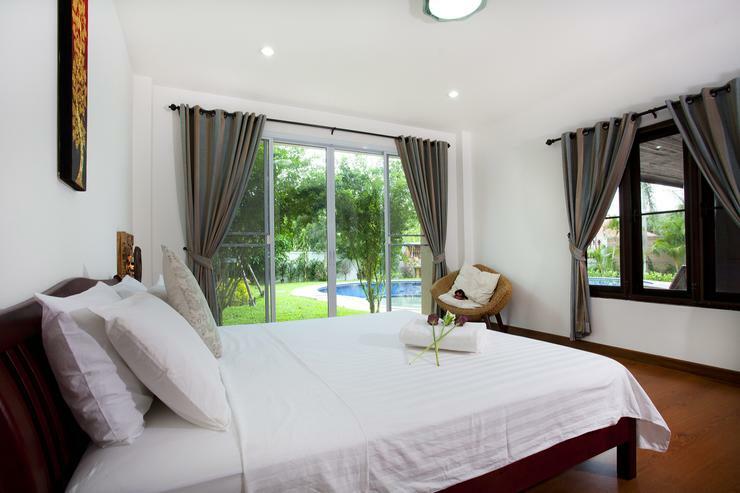 Just a 10-minute drive from Chiang Mai city center and 2-minutes from restraints, bars, local markets and supermarkets, you are conveniently situated to make the most of your Chiang Mai holiday. 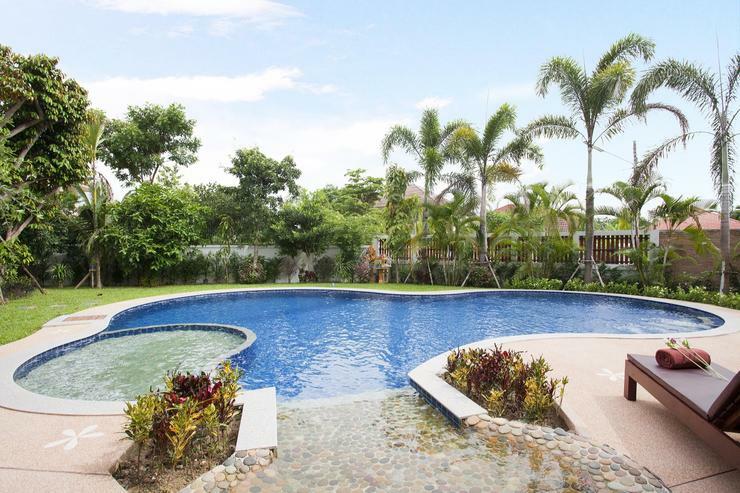 Greeted by the impressive gardens and swimming pool with adjoining Jacuzzi and kid’s pool, you can make your way into the villa through the outdoor terrace. 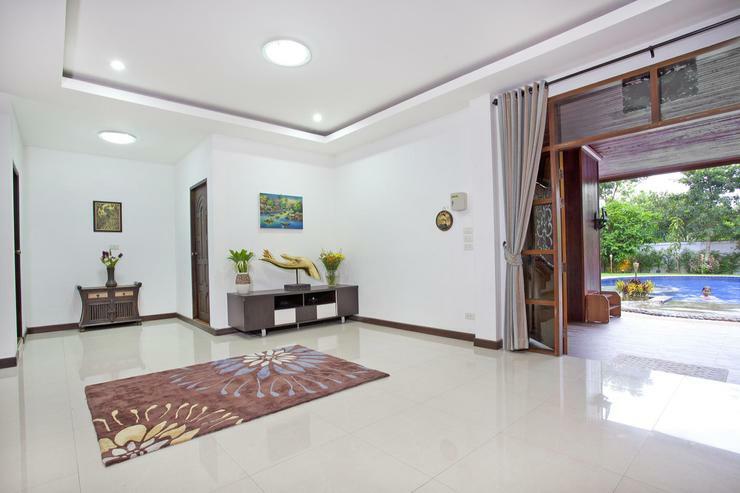 Spacious, modern and with a selection of wooden floors and pristine white walls and ceramic tiles, against the plethora of wooden fixtures and fittings, the first impressions will leave a mark on you. 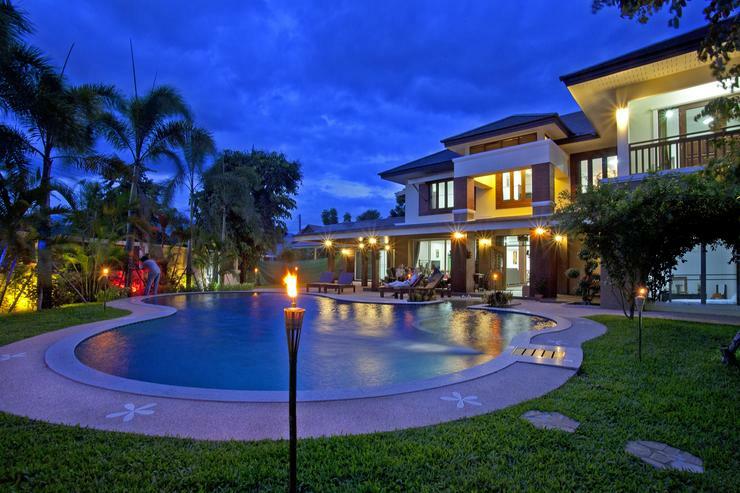 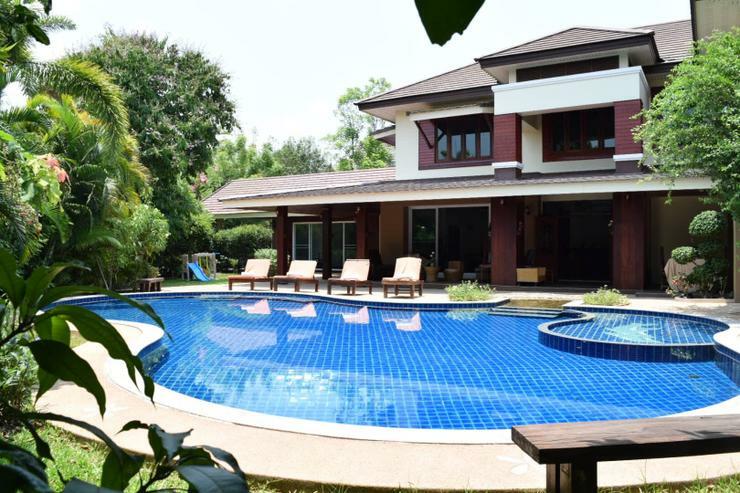 Recently renovated, this villa in Chiang Mai has 6 + 2 bedrooms, 7 bathrooms, a large kitchen and dining area, and a lounge. 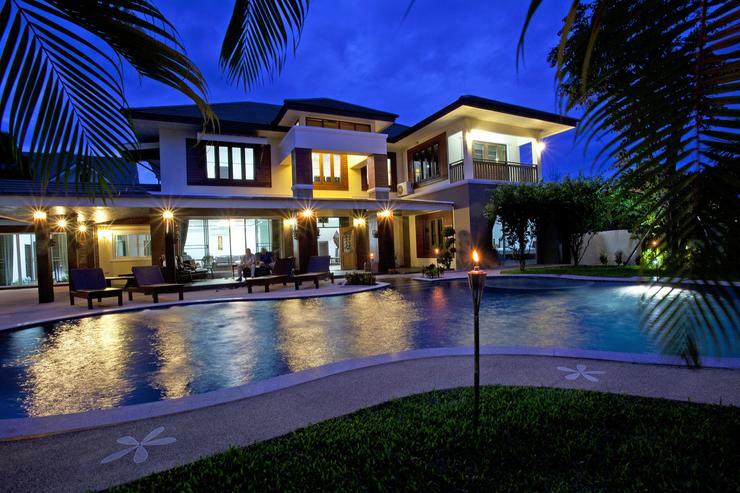 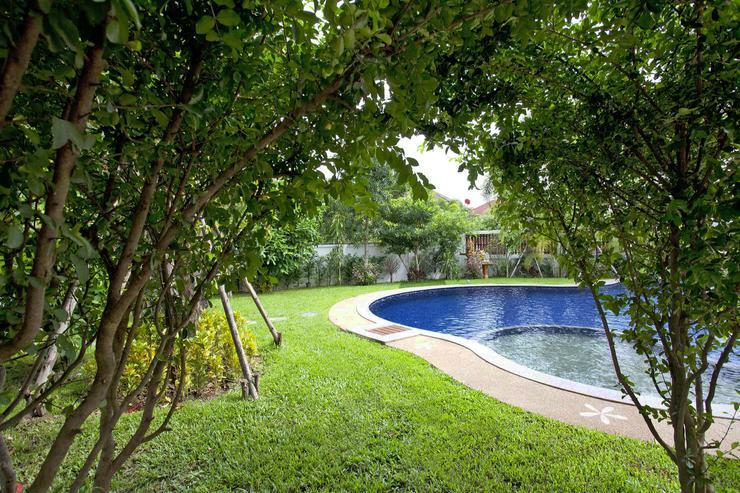 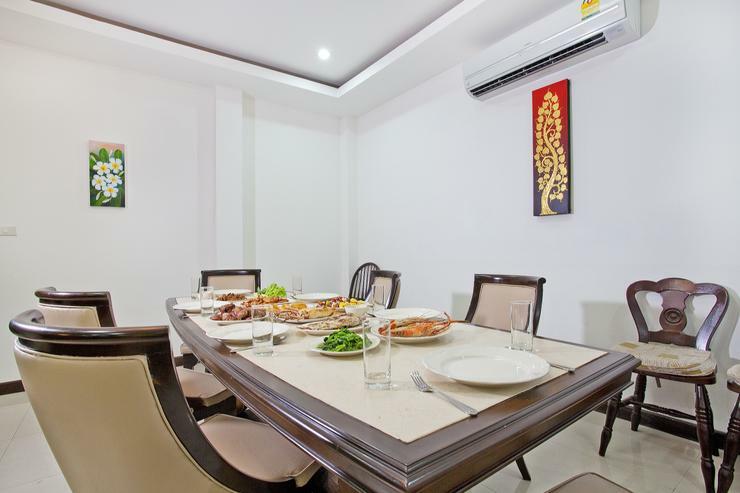 The villa is perfect for families or groups of friends traveling together. 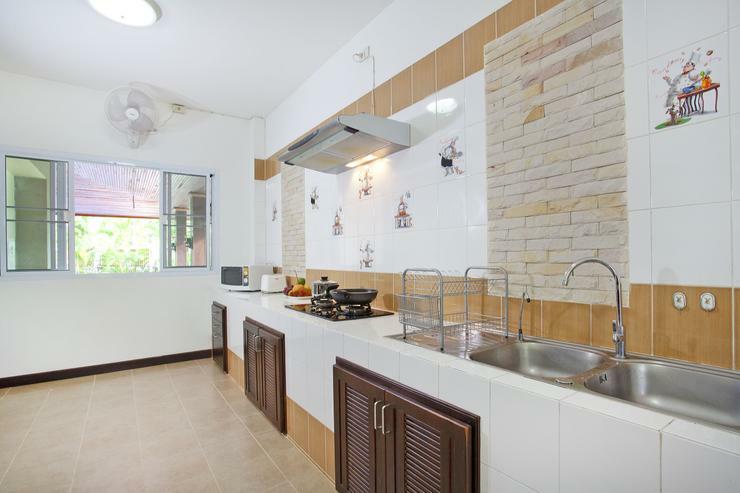 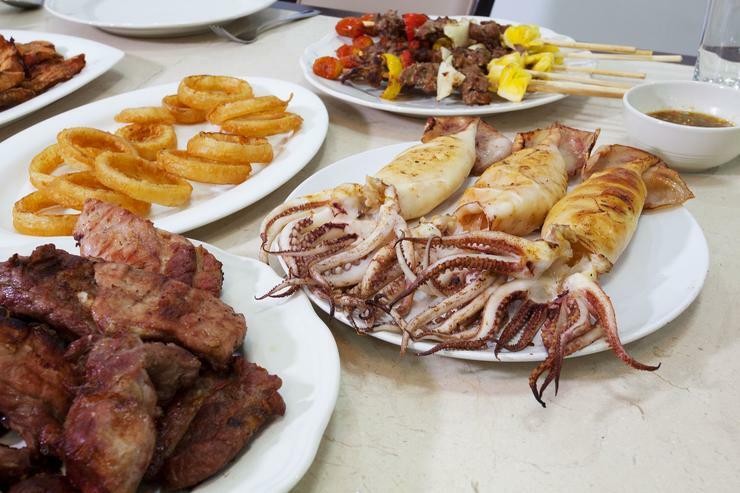 Other great features include high quality chefs on request that can whip you up a Thai banquet of the highest order. 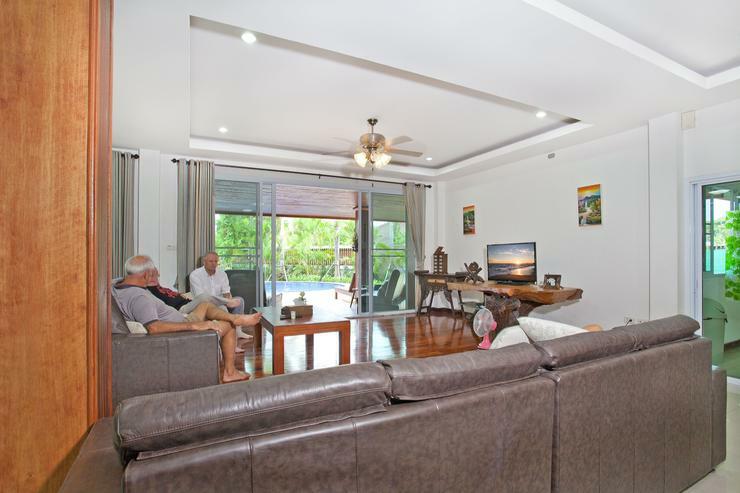 There is also an in-house tour agent that will be able to organize all your excursions or a round of golf. 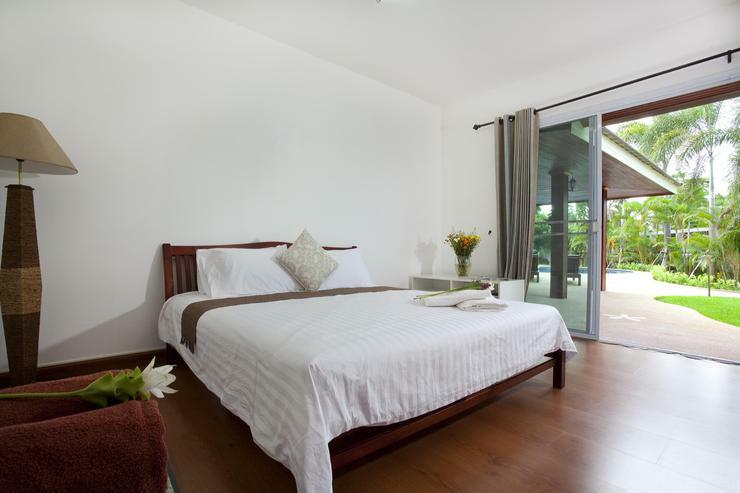 No stone remains unturned when holidaying in Lanna Karuehaad Villa. 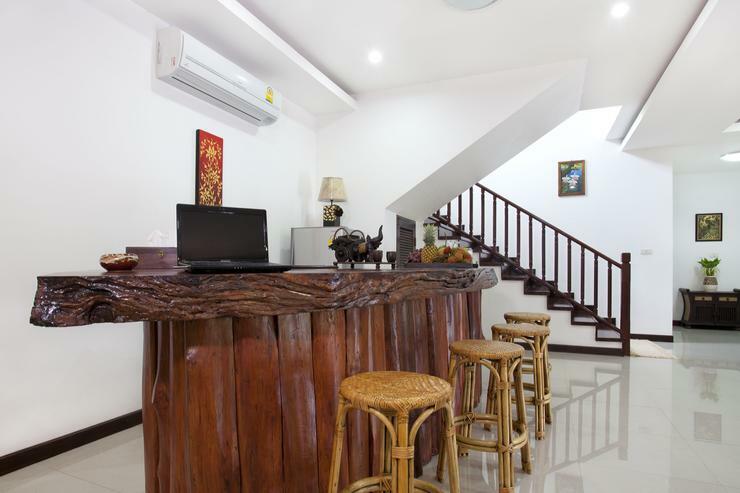 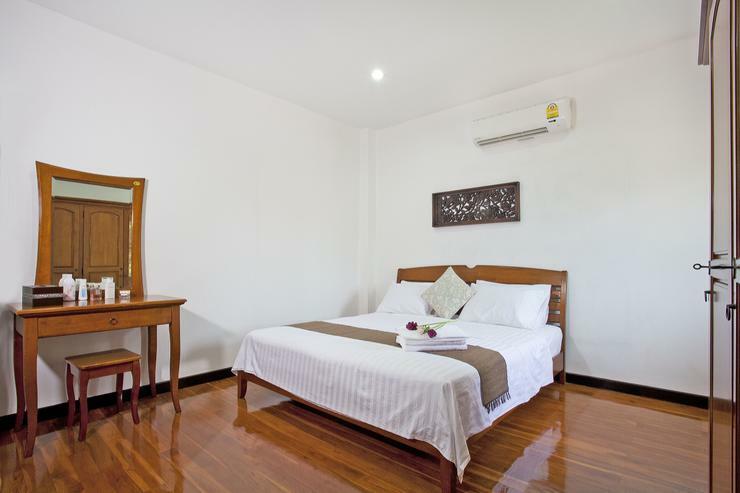 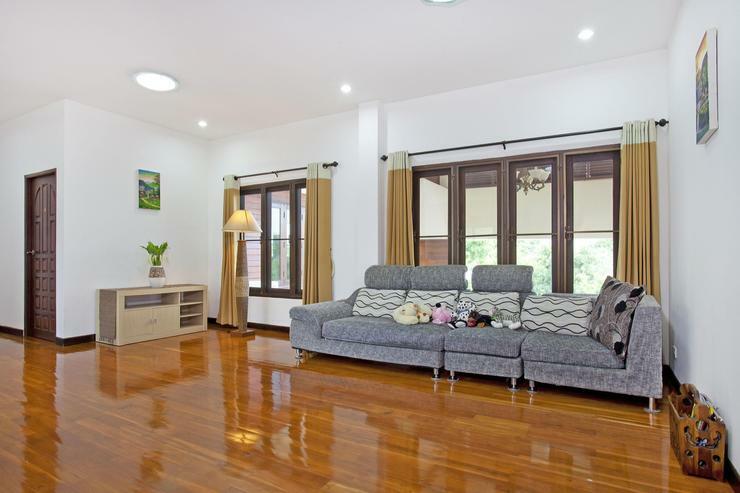 The villa is located approximately a 10-minute drive outside Chiang Mai city center, and just 2-minutes from bars, restaurants, supermarkets and local food markets. 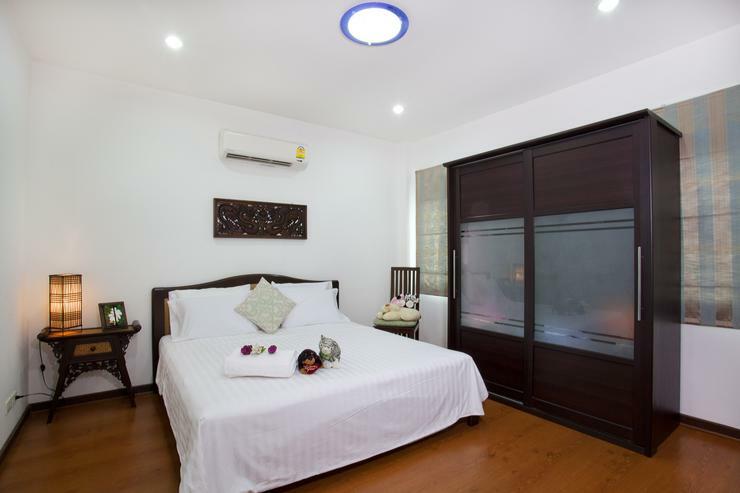 The region is famous for its activities and countryside, which can all be reached within a 15 – 30 minute drive such as Doi Suthep, golf courses, Chiang Mai Zoo, extreme sports, hill tribe villagers and much more.